The weathermen are telling us that the meteorological spring began on 1 March and it was certainly feeling spring-like today (at least out of the mistral which was pretty chilly). The mountains all around us are still topped with snow, but on the vineyard there are plenty of signs of spring. 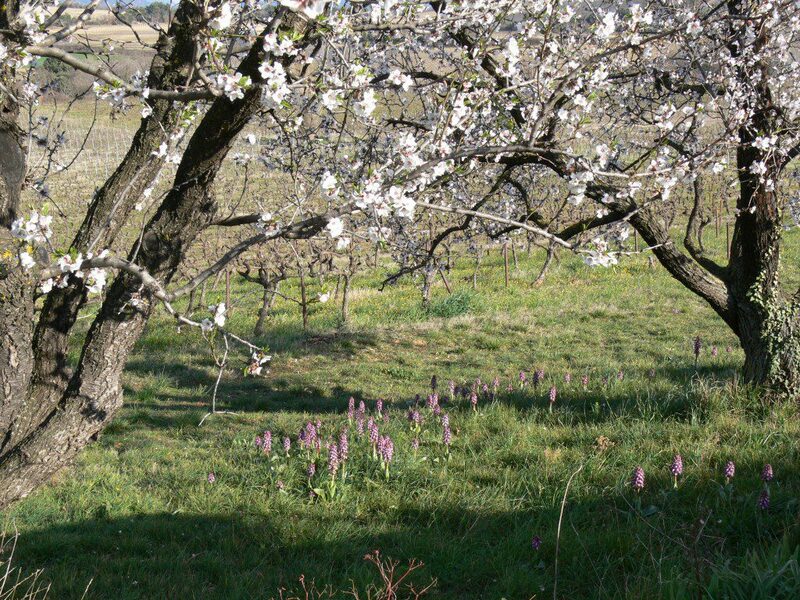 Here is a shot of the wild orchids under the almond blossom. It will however be over a month before we get bud burst on the vines. In the meantime there is lots to do in the vines, not least finishing the pruning!